Mrs Robinson has faced criticism for comments she made after the visit and has been accused of supporting the emirate of Dubai's version of events. The rights group, Detained in Dubai, have said questions remained about the princess's welfare. Sheikha Latifa, the daughter of the emirate's ruler Sheikh Mohammed Bin Rashid Al Maktoum, is said to have tried to flee abroad in March 2018 in order to live a freer life. But campaigners say the luxury yacht she was fleeing on was intercepted off India, and she was forcibly returned to Dubai, one of the United Arab Emirates (UAE). A video emerged - filmed following an earlier escape attempt - in which the princess said she and her family "did not have freedom of choice" in their lives. She also alleged she had been imprisoned for three years and tortured on her return. Media captionWhat happened to Dubai's Sheikha Latifa? The UAE denied the reports, and said Sheikha Latifa had been living at home with her family. But when the princess was not heard of for months, international human rights groups asked the authorities to prove her safety. 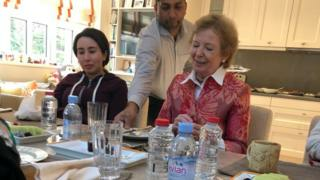 In December 2018 the UAE foreign ministry released images showing Sheikha Latifa alongside Mary Robinson, former UN High Commissioner for Human Rights and former president of Ireland, and were purportedly taken on 15 December in Dubai. Mrs Robinson was the first woman elected as Ireland's president in 1990 and served for seven years. Last month she visited the princess who tried to flee and described her as a "troubled young woman"
Princess Latifa's father is married to Princess Haya bint Hussein who told RTE she invited Mrs Robinson to come and see her. She told RTE, Mary Robinson is someone who she considers "will tell you the right thing and not what you need to hear". She added that she wanted Mrs Robinson's advice due to her "integrity and unblemished track record". Princess Haya bint Hussein added that it was an extremely private matter and that the family is trying to protect Latifa from being used. 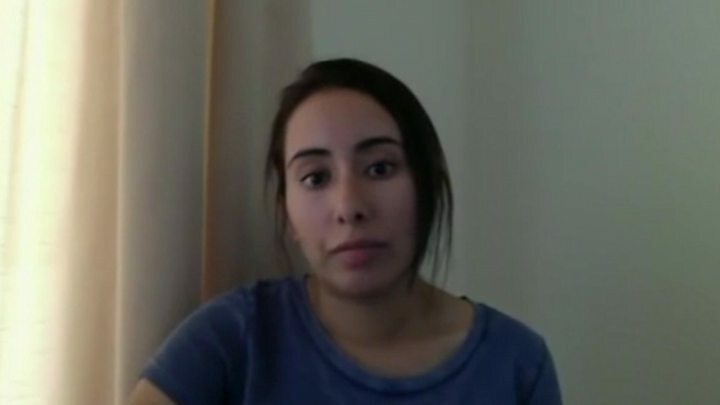 Video What happened to Dubai's Sheikha Latifa?